There is a parking area on the lodge access road, and a toilet nearby. Access to the lodge itself, and the road from the parking area to the lodge, is for users of the lodge only, and should not be used for access to the tracks.Although there are no viewing points along the tracks they all provide a pleasant walk through the forest, with forest canopy covering almost the entire length of the tracks. There are four tracks starting near the lodge, providing options from a very short nature walk to a longer loop walk. Information about some of the tracks can be found on the DoC web site. A 400m long access track leads from the carpark to the junction of the four tracks. The Aongatete Long Loop Track runs mainly in a north-south orientation, with an eastern leg and a western leg. The eastern leg mainly has a gentle gradient, and with long straight stretches looks as if it may once have been a tramline track. The western leg runs through more uneven terrain, and includes 3 stream crossings. Even on a winter day after two days with rain they could be crossed without getting wet feet. It is marked as a walk of 3 hours 30 minutes. 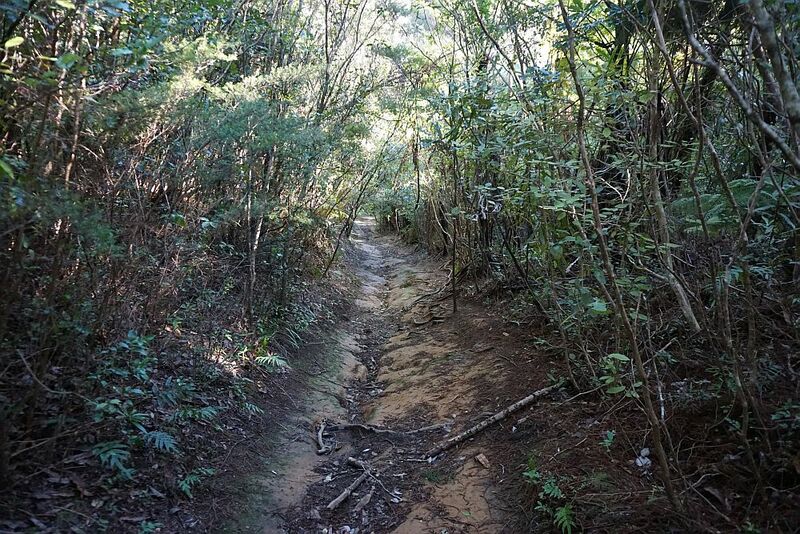 The Aongatete Short Loop Track shares the northern part of the Long Loop Track, with a connecting track between the two long loop track legs. Walking time, according to DoC, about 1 hour. There is a short Nature Trail, a loop starting and ending near the lodge. A 15-minute walk. The Aongatete Link Track continues to the North South Track. On the way there is a branch leading to a swimming hole, which is apparently very popular on hot summer days. The walk to the swimming hole is marked as a 30-minute walk each way. The North South Track is about a 1-hour walk from the lodge. 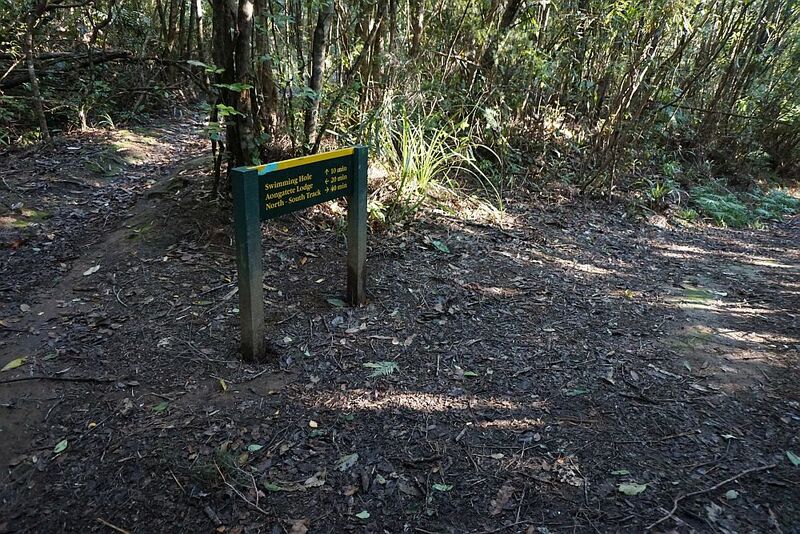 The description here is for the long loop was walked in a clockwise direction, the short loop link track walked in both directions, the nature trail in a clockwise direction, and the swimming hole access track in both directions. Total time about 4 hours 30 minutes, including a 15-minute lunch break, and a total distance of about 12.5 km. The parking area on the lodge access road, with the start of the long loop eastern leg (and the short loop eastern leg) being the stile across the road from the parking area. 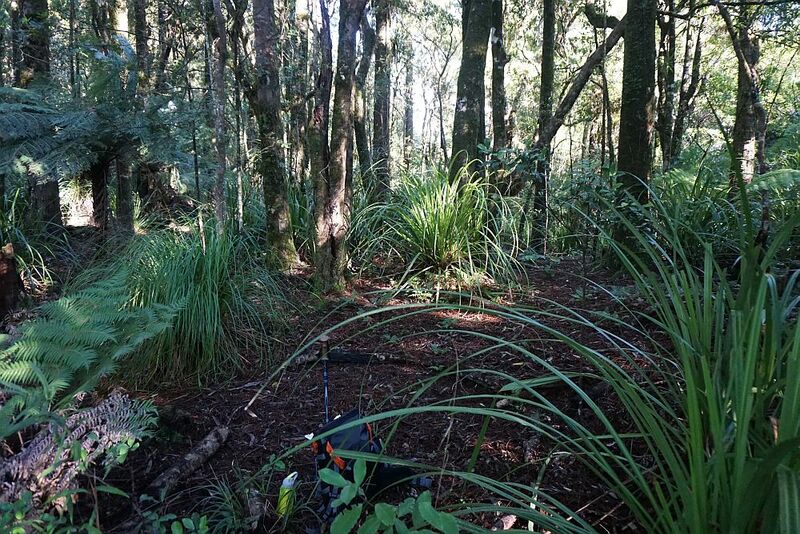 The track then crosses the grass area and enters the forest above the toilet. 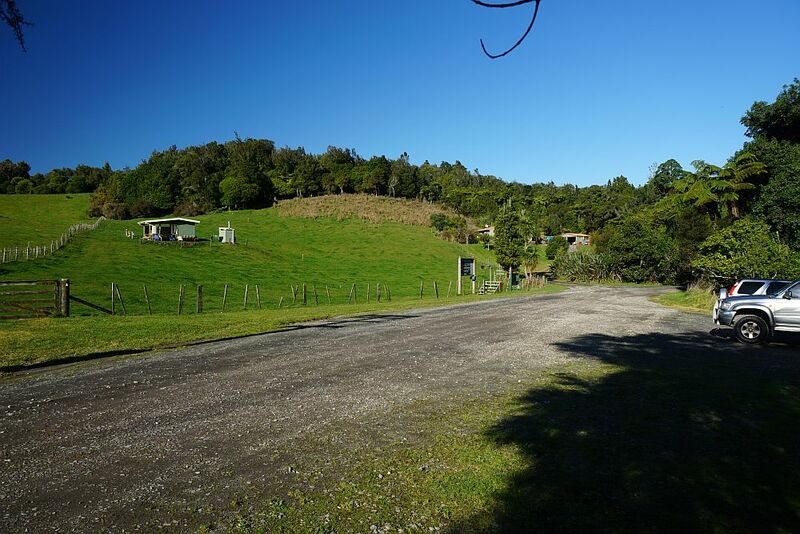 The lodge is hidden behind the trees on the far right, about 400m further along the road. The road leading to the lodge, with the gate which may be locked at any time. Information about the lodge and contact information is found on the sign. The road is no longer used for access to the walking tracks. Access to the walking tracks is along the bypass track to the left of the large sign. The 400m long bypass track on the left leads to the junction of the long loop, short loop, nature, and link/swimming hole tracks. 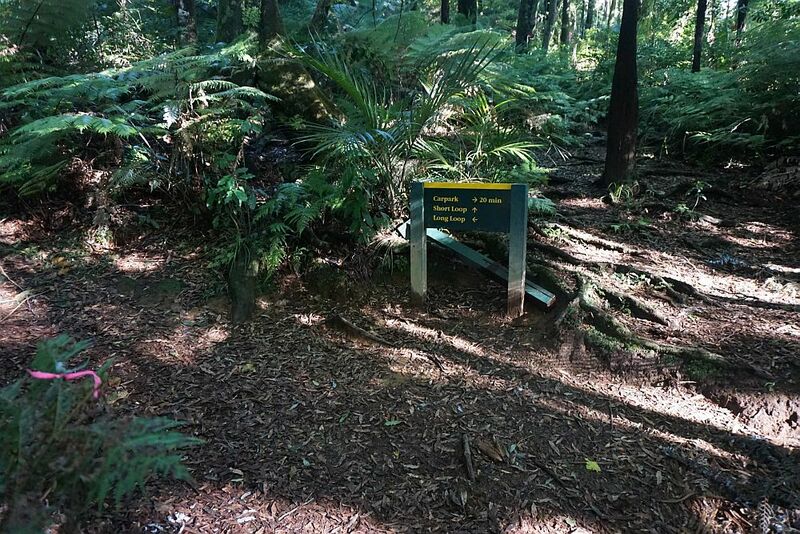 The small sign between the lodge access road and the access walking track, bypassing the lodge. The start of the eastern legs of the long loop track and the short loop track. 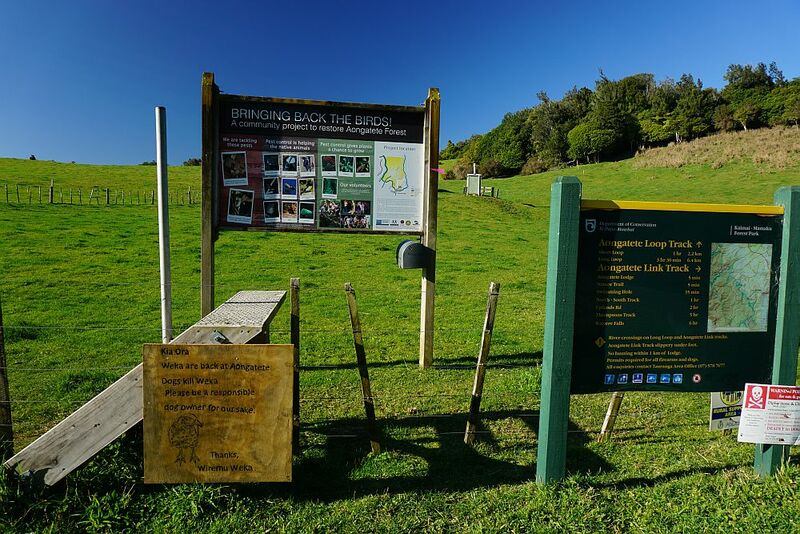 The sign on the stile reads “Kia Ora. 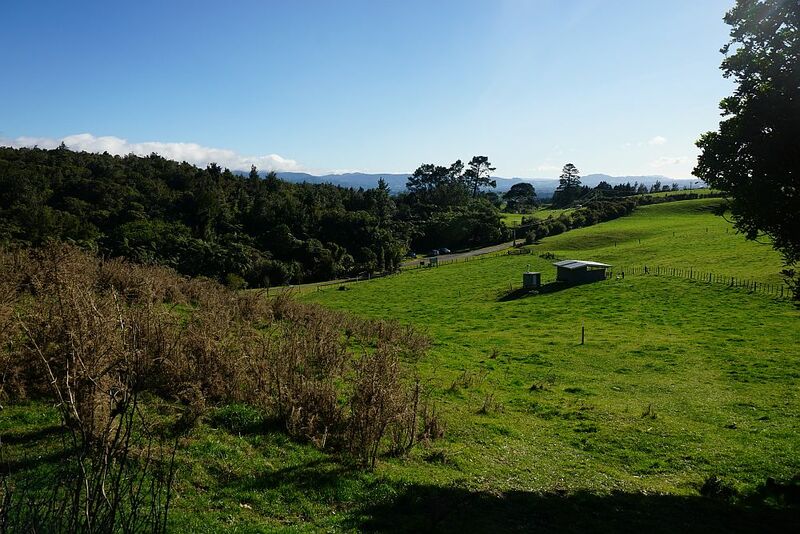 Weka are back at Aongatete. Dogs kill Weka. Please be a responsible dog owner for our sake. 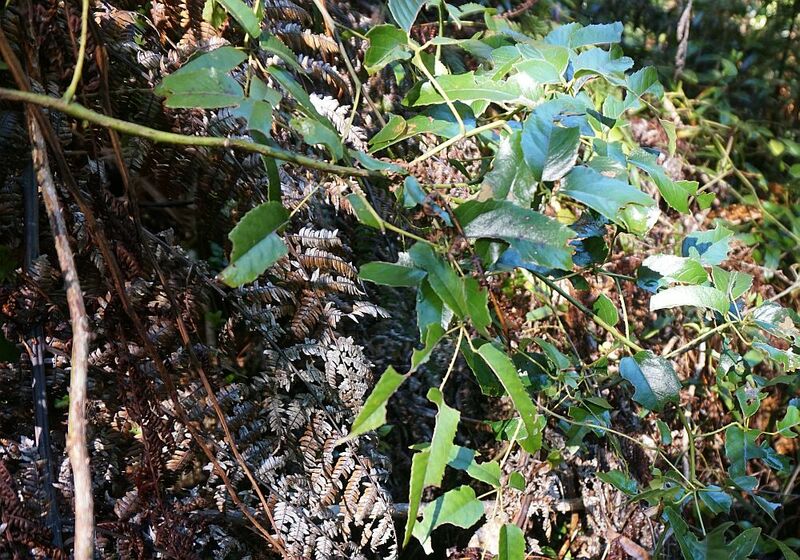 Thanks, Wiremu Weka.” No weka were observed on the walk, but one was heard. Looking down from the forest entry to the carpark and the mountains beyond. Some of the trees and plants have information panels. A few are on the short loop, but most are on the short nature trail. The short loop branches off the eastern leg of the long loop, and crosses over to the western leg before heading back to the lodge. The eastern leg of the long loop is mostly straight with gentle gradients. The track is not wide, but could have been the location of an old tramline from when the forest was first felled and milled. 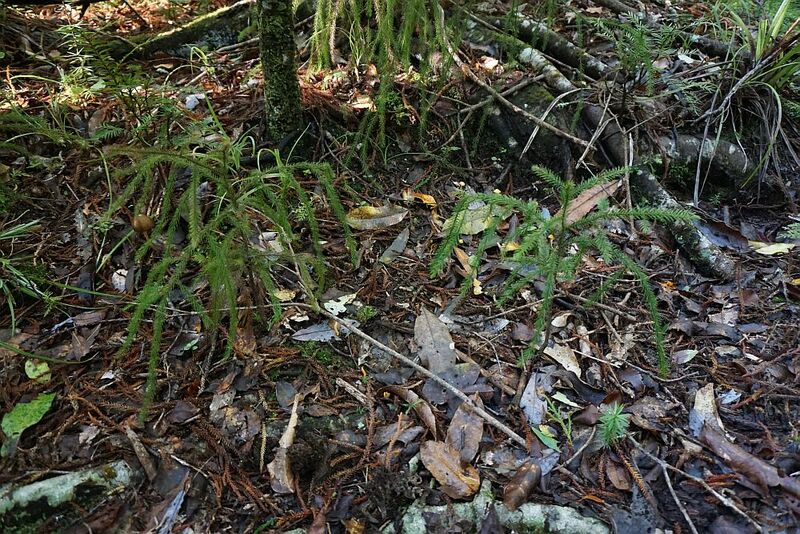 There is a large patch of regenerating rimu by the long track. Here some of the smallest seedlings. Others were up to 3 or 4 metres tall. Although fairly innocuous to look at, the ‘bush lawyer’, a climbing blackberry plant with small hooked thorns on the stems and leaves that snag clothing and rip or prick the skin, can be uncomfortable to run into. See Wikipedia for further details. This one was hanging by the track near the southern end of the long loop, and grabbed my clothes as I was passing. 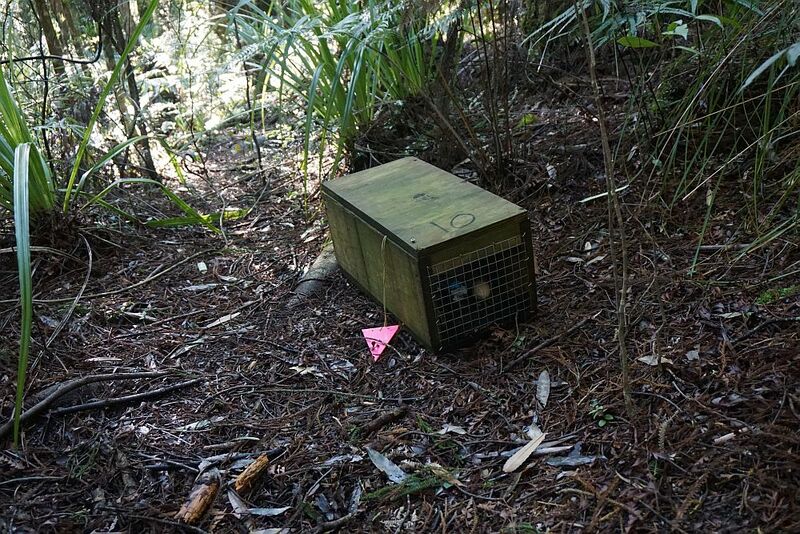 There is an active predator trapping program in place to catch or poison possums, rats and stoats. This trap has an egg as bait, and can catch stoats or rats. 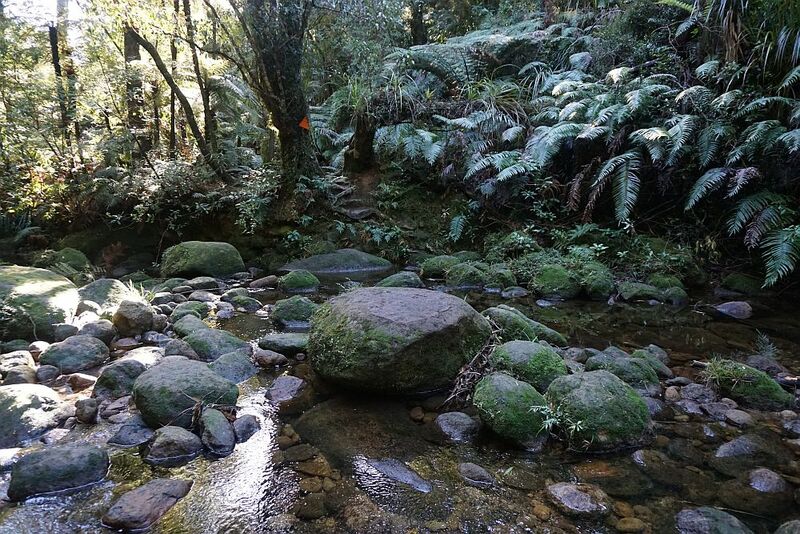 The first (southernmost) stream crossing on the western leg of the long loop track has stepping stones, and is easily crossed without getting wet feet. A small clearing provided a suitable place for a short lunch break, although there were no seats provided. There are a few large trees alongside the track. 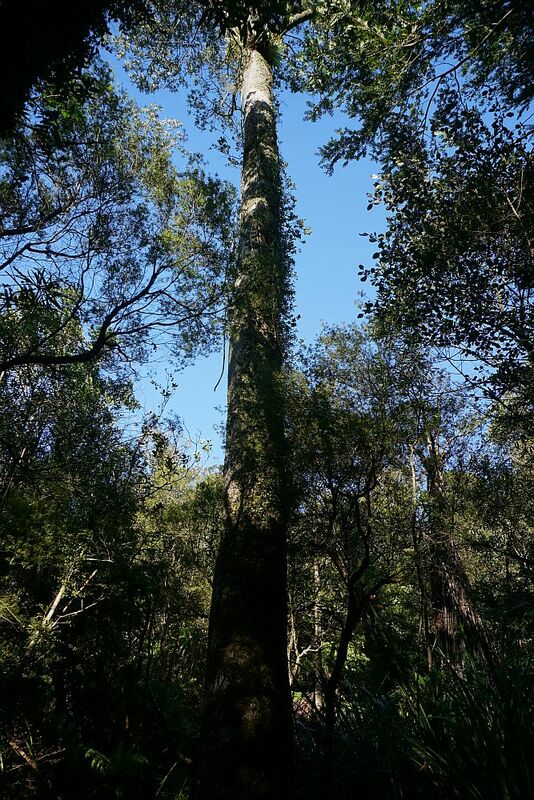 The height to the first branches would be about 12 to 15 metres. Immediately behind this one a similar one had fallen over across the track. The second and third stream crossings, only about 50m apart, were more difficult than the first, with more water in the stream. But still possible to cross without getting wet feet. 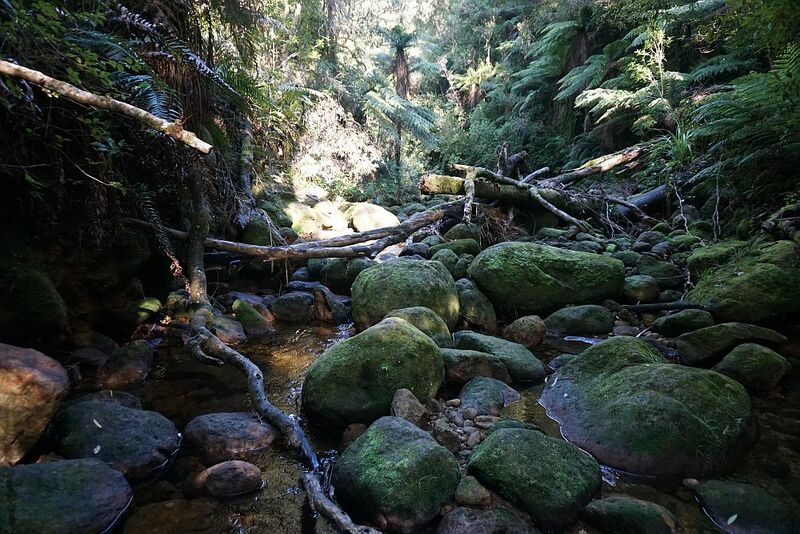 The boulders and tree trunks indicate that during flooding the stream size can swell to a torrent. The short loop track intersection with the western leg of the long loop track. 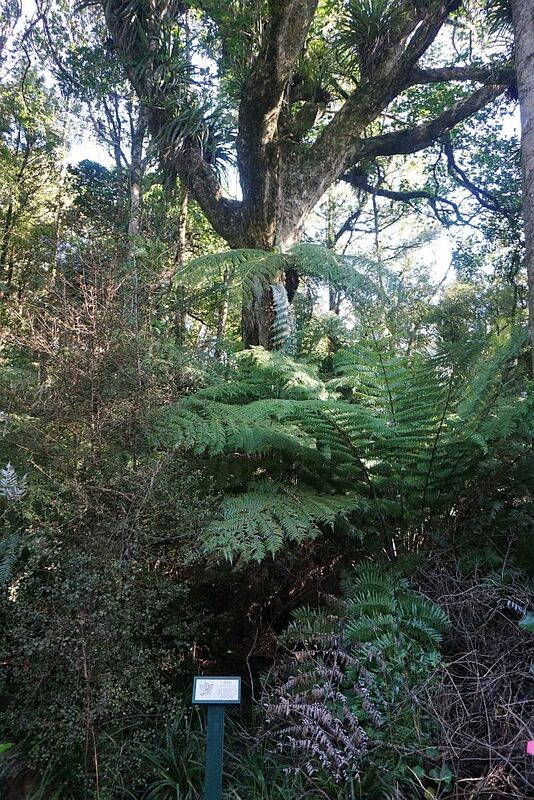 A large puriri tree near the track. One end of the short nature trail joins up with the western leg of the long and short loop tracks a few minutes walk from the parking area off Wright Rd. 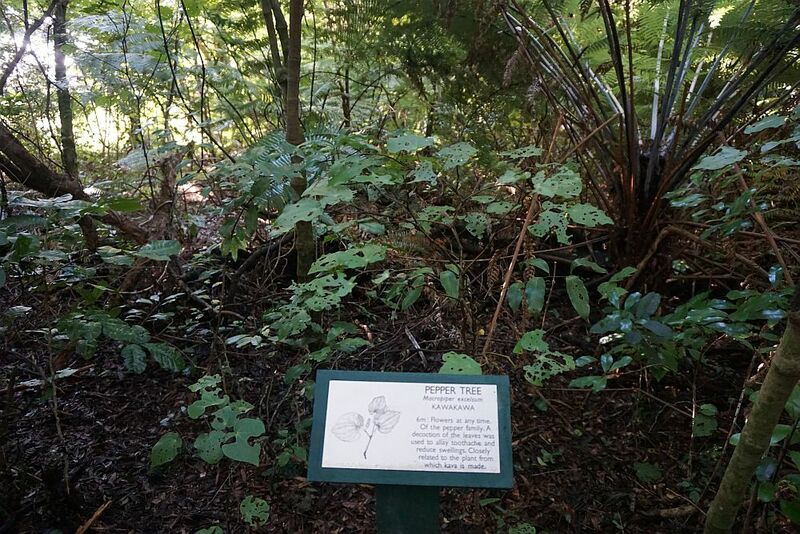 The nature trail has numerous panels with information about the trees and plants. The first part of the Aongatete Link Track is wide enough for a vehicle, but with clay base very slippery when wet. The branch to the left leads to a swimming hole. The Link Track continues to the right, joining up with the North South Track. Although this could look like the swimming hole, the stream is crossed here to the final short track leading to the actual swimming hole. 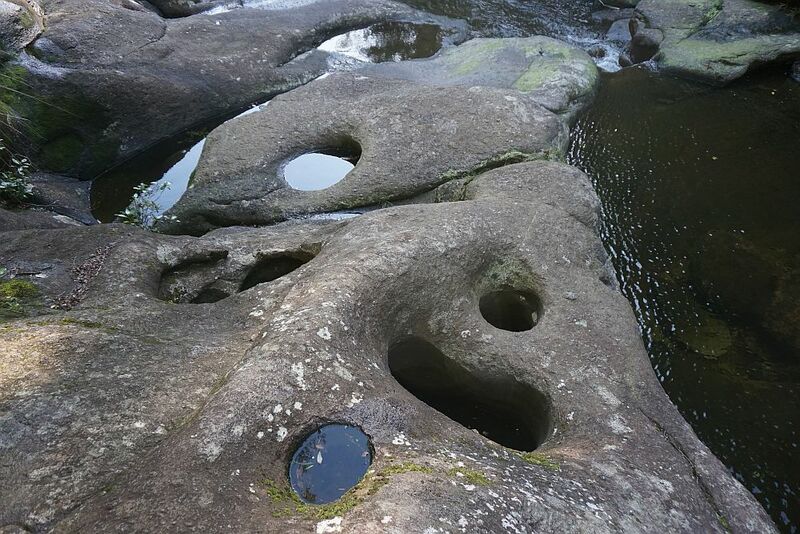 Many of the rocks here and in other locations have distinctive holes in them, many of them almost perfectly round. Although not a geologist, my theory is that they were formed when trees remained standing while covered with ash and lava from volcanic eruptions. The lava and ash then solidified and was compressed to stone while the tree trunks rotted away. 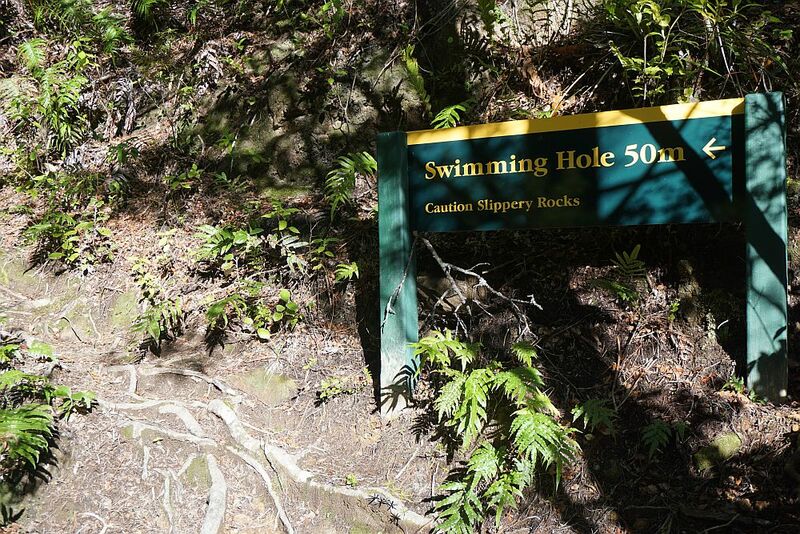 There are not only slippery rocks, but the track itself is narrow and rough, with a steep dropoff down to the stream and rocks below. 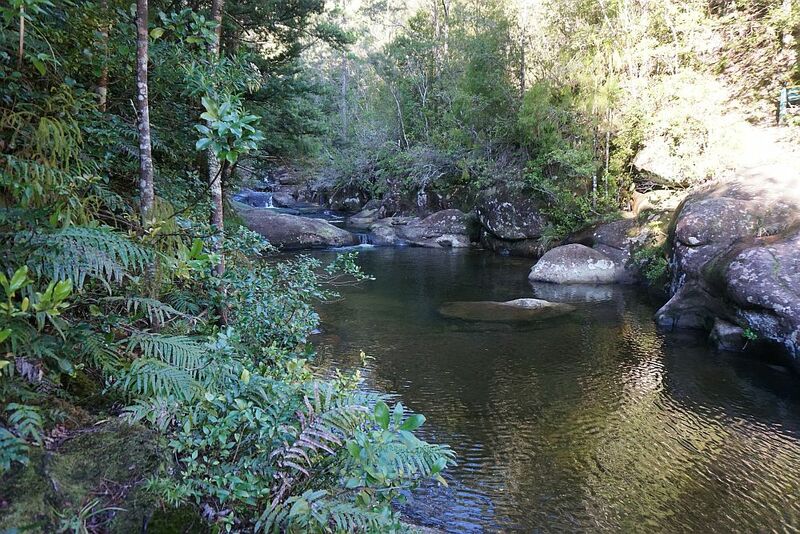 The swimming hole with a few small cascades. A small waterfall in the stream below the swimming holes. 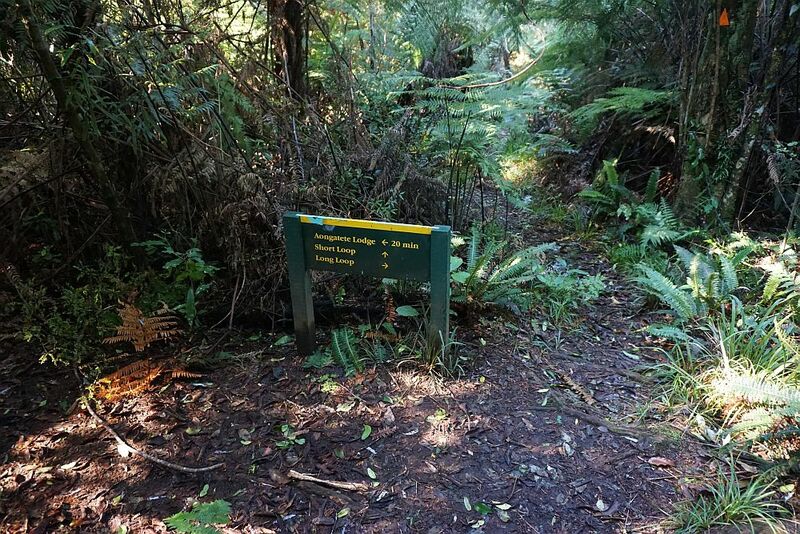 The junction of the four walking tracks near the lodge has pointers to each of the tracks. 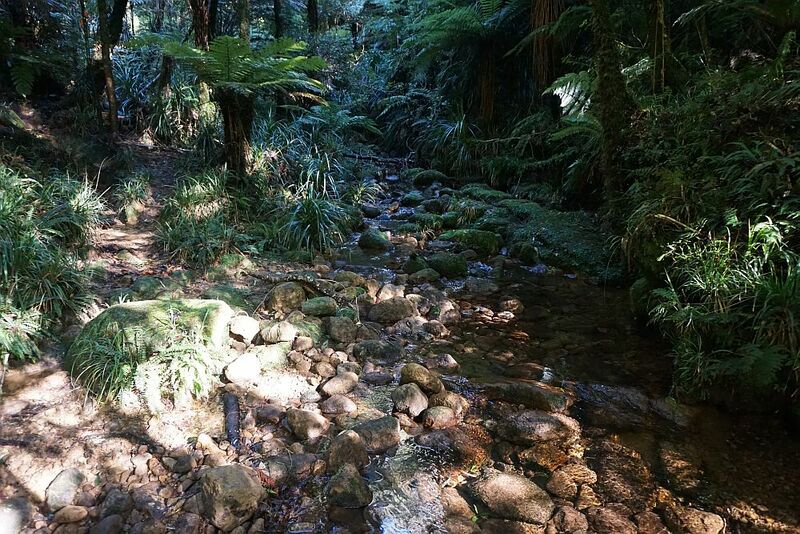 The sign on the left reads “Swimming Hole / Uplands Rd Track / North South Track”. On the right the sign reads “Aongatete Lodge / Lodge clients only”. The other 3 signs at the junction. On the left is the track to the carpark, 5 minutes walk. To the right of centre the sign reads “Short Loop & Long Loop Tracks”, and on the far right is the Nature Walk track. 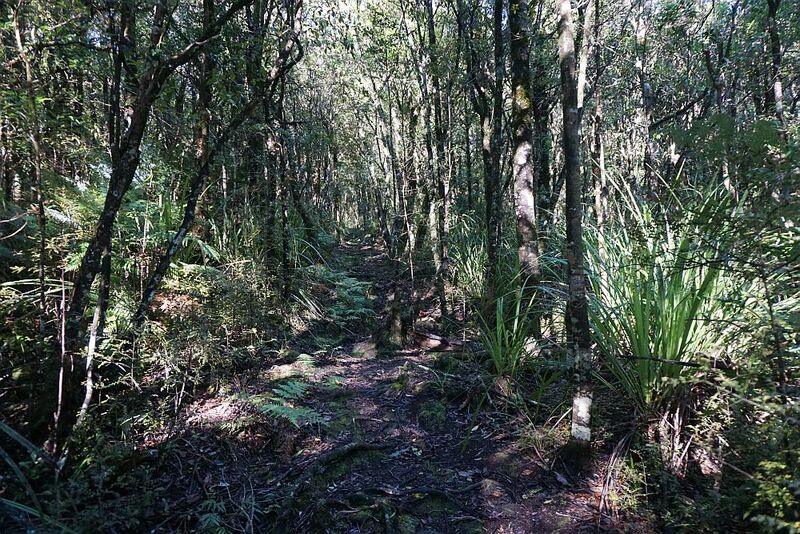 The new walking track back to the carpark, bypassing the lodge, is a narrow but well-formed track with an easy gradient through the trees. The GPS tracklog shows the various locations along the tracks. Point A is the parking area, B where the short loop joins the eastern leg of the long loop, C the southern tip of the long loop, D the intersection of the western leg of the long loop and the short loop, E the location of the junction of the Short Loop, Long Loop, Nature Trail, Link Track and the walking track to the carpark, bypassing the lodge. Track junction to carpark: 400m, 5 minutes. The tracks were walked on July 5, 2015. Post updated on May 20, 2018 with information about the new access track bypassing the lodge. 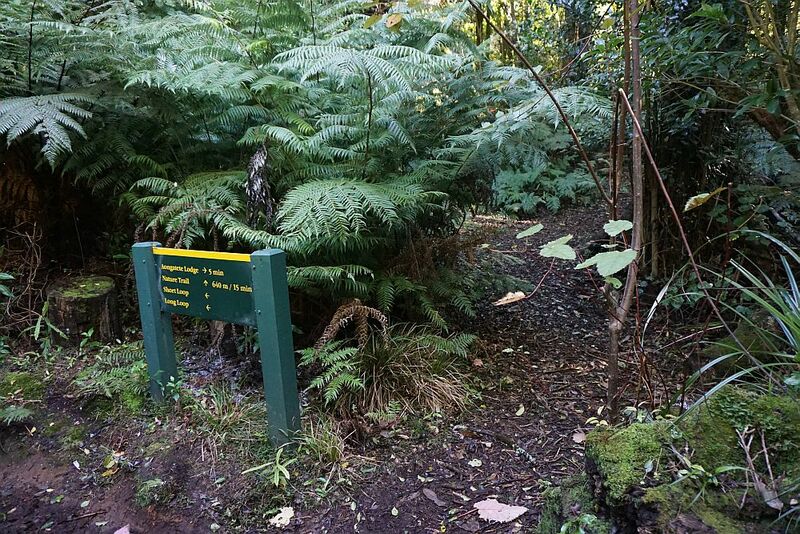 Please note that the access to the Aongatete walks are no longer from the lodge. The lodge is closed to the public unless reservations are made. There is a new lodge bypass track from the start of the carpark that visitors should use. Read and follow the signage and refer to the official DOC website for directions. Thank you for that. I’ll try to get there soon to take some photos and write some amended access details. Hi. 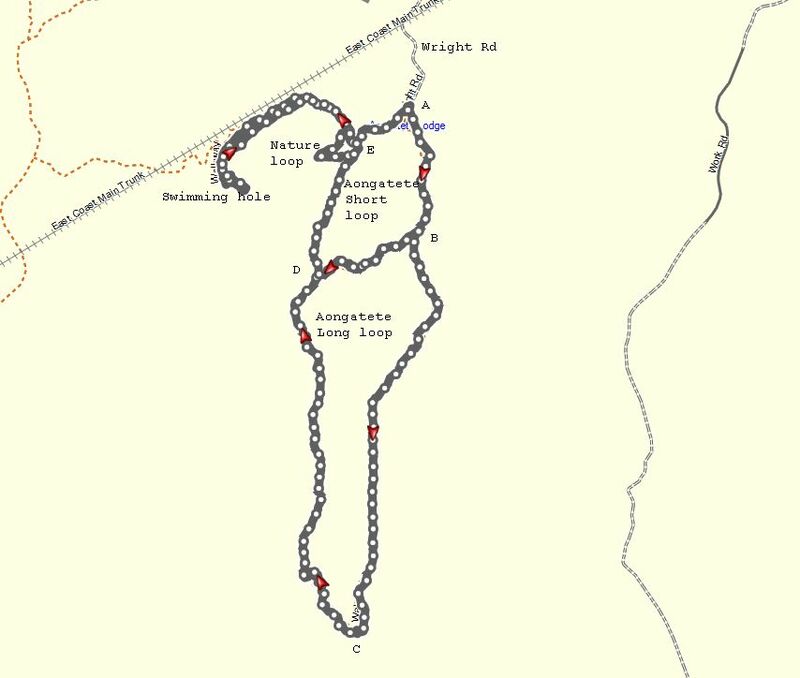 Any chance of the gpx file for the long loop please? Sorry, that walk was more than 3 years ago, and I tend not to keep gpx files for very long. Perhaps I should start doing that. 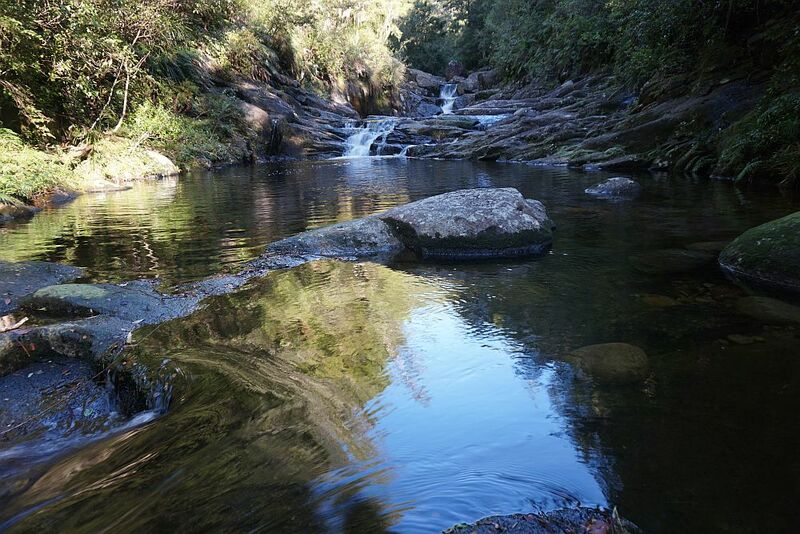 Hi, Myself and two other ladies did the Aongatete long loop track prior to Easter 2018, a beautiful walk however we did the walk in a clockwise direction only to find ourselves at the stream crossings in the late afternoon. The choice cross high, fast flowing streams or walk back 3 hours in fading light. 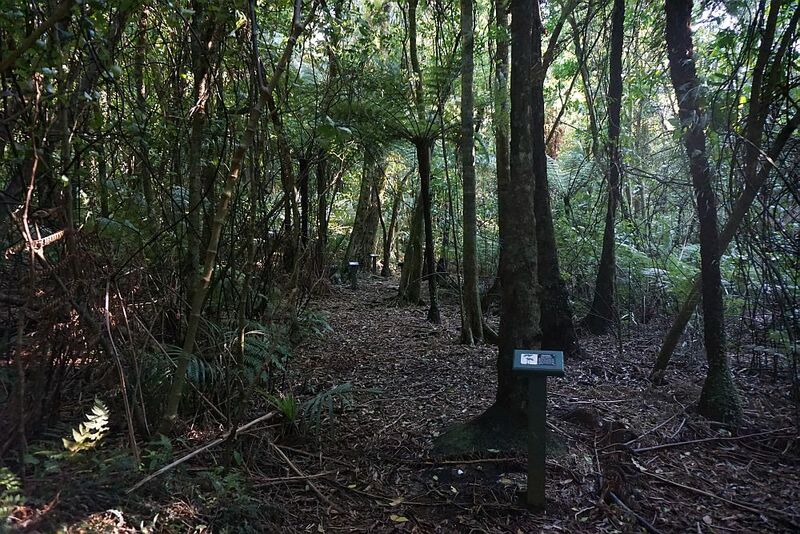 In hindsight I would suggest avoiding this walk if there has been heavy rain in the Coromandel or alternatively entering the walk from an anti-clockwise direction this way you can check how high the first stream crossing is prior to committing to several hours of walking. Thank you for the comments and the advice. 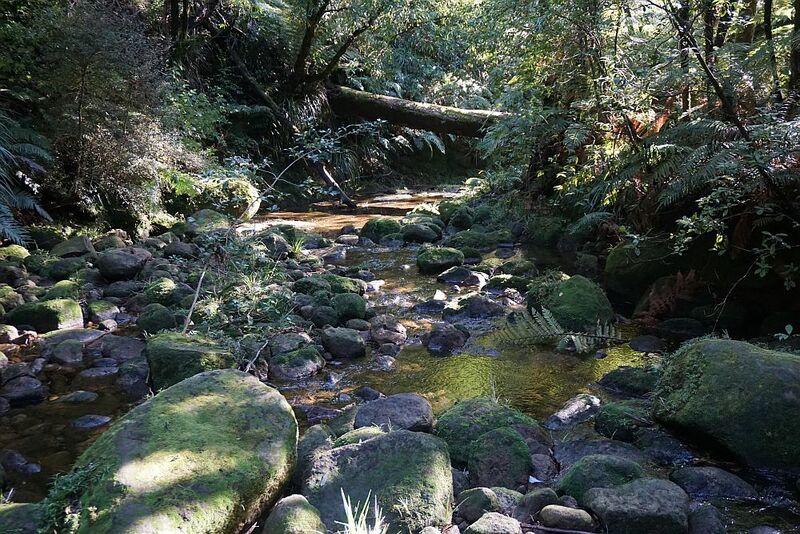 Almost all rivers and streams in the Kaimai Ranges can become swollen and hazardous after heavy rain, so care is required and precautions taken. 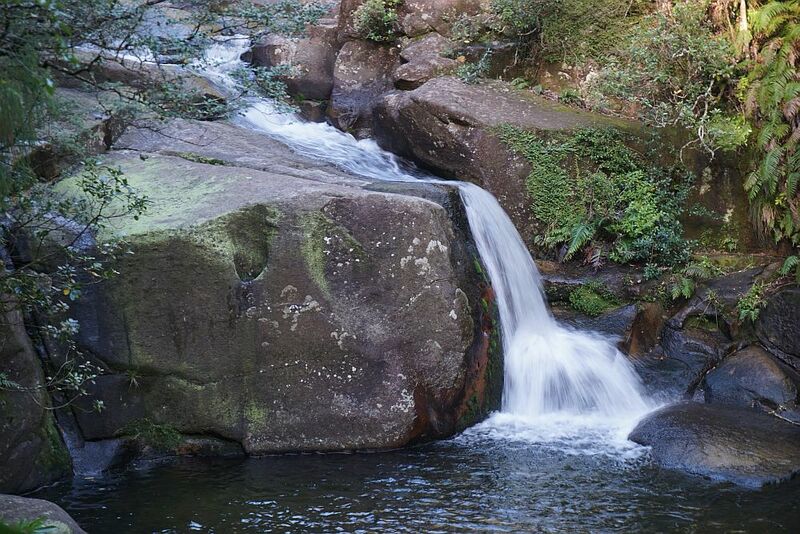 In many places it is evident from logs and boulders just how high and dangerous some streams can become. After rainy days walking the long loop in an anti-clockwise direction would be a good idea.